Homes may be on the market longer now than in past years, but transactions do happen. 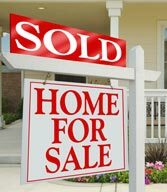 And no matter how nice your property may be, a house won't necessarily sell itself! Using a careless agent makes selling your investment harder than it needs to be. The right agent for you makes the selling process a easy one. Using my resources at Legacy Realty and Funding, I'm committed to providing a positive selling experience! Your interests are always at the forefront throughout the entire selling process. You’ll have my knowledge on your side. E-mail Legacy Realty and Funding at azagha@aol.com or just call 714-321-9800. I’m always able to handle concerns that you might have about putting your property up on the market in Tustin, California.